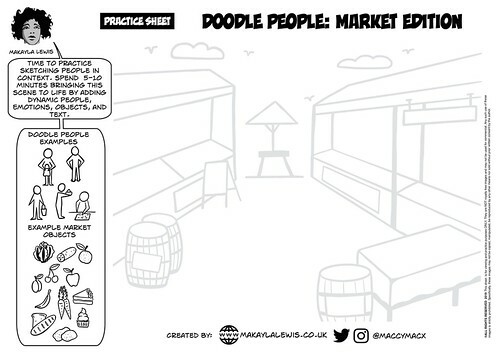 Makayla’s ‘Practice Sheet – Doodle People: Market Edition’ is an A4 PDF practice sheet (printable) for SketchnoteLDN March 2019 meetup in the UK, upon sharing it at SketchnoteLDN a few people asked for it to be publicly released. 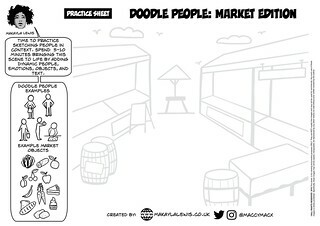 The purpose of the practice sheet is to provide a fun activity to practice doodle people and actions in a relatable context. ENJOY!